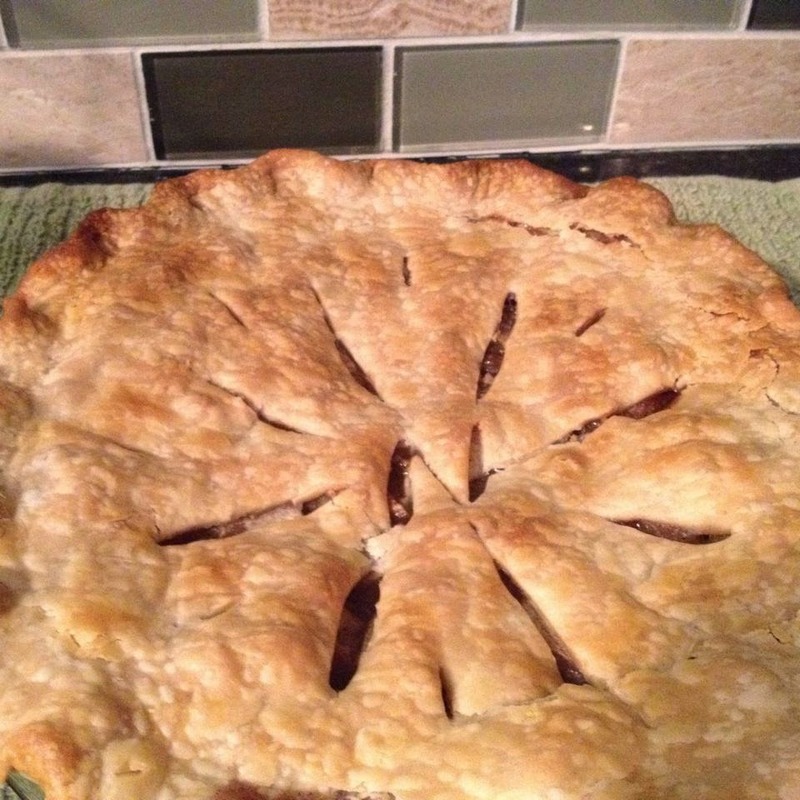 Yesterday I decided to make an (almost) homemade apple pie - somewhat because I was a little bored while Tyler was watching football, but mostly because I just really wanted to eat a warm slice of pie on a chilly fall-like day. :) This also meant I got to cross one item off of our fall bucket list. 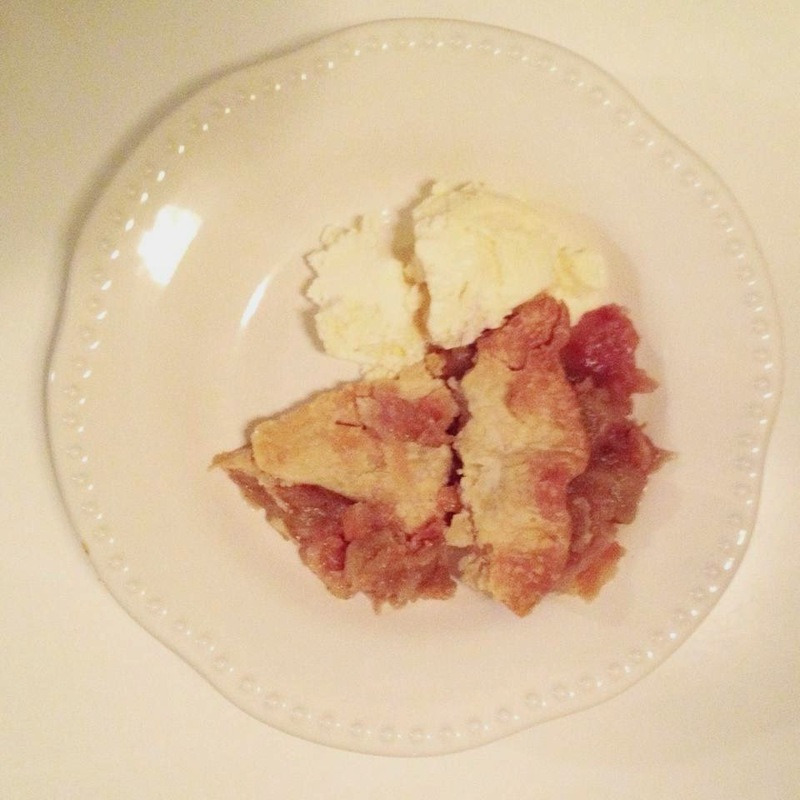 This is the exact recipe I follow, including the pre-made pie crusts. It's so easy and so good. I can't quite wrap my brain around why someone would go through the process of making pie crusts from scratch when you can just pick up a box of flaky, delicious pre-made crusts from your grocery store. But that's just me. ;) The recipe is also conveniently found on the pie crust box. I doesn't look very pretty, and it all fell apart when I impatiently tried to cut the first piece, but it tastes good - that's all that matters, right? (And yes, that's an "N" in the middle. Just monogramming our apple pie, NBD). It's best served warm with a scoop of vanilla ice cream. I LOVE that you monogrammed your pie, too cute!! 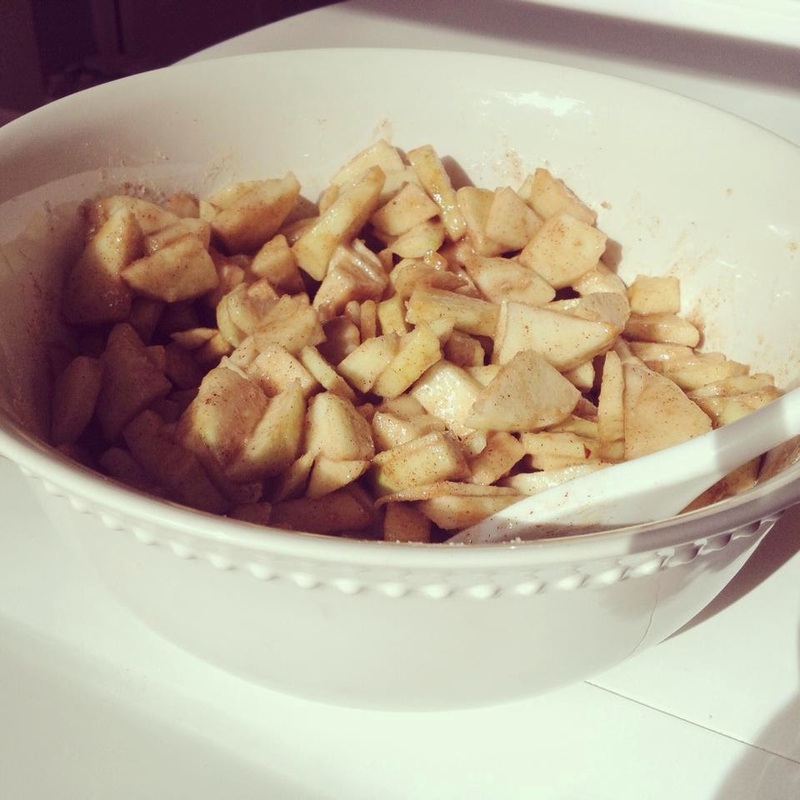 I really want to go apple picking soon so I can make a homemade pie!! Maybe next weekend after my sisters wedding is over! I <3 everything about fall!